Without sounding at all repetitive or cliché, where the help did September go?! In the blink of an eye I've moved back to Epsom, been out a lot (lol) and suddenly been thrown in deep into Second Year at Uni. It's been a strange month of getting back into a different routine and settling in once more to life independently, but I've also had the best month aside from the weird sleeping-in-a-different-bed. 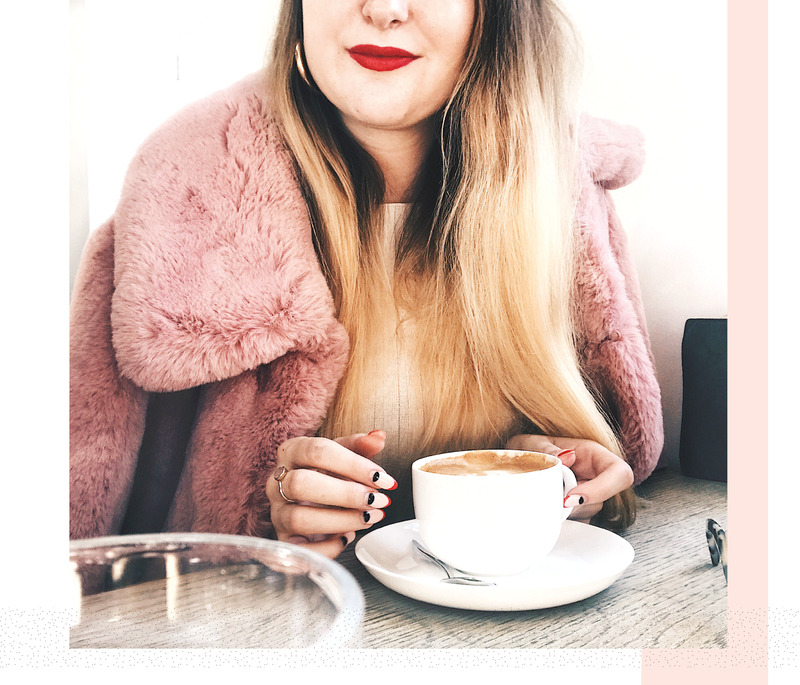 I've ticked off London Fashion Week (well, visiting outside to 'trend spot' for a module of work, more on that in a bit), being able to finally sing 22 by Taylor Swift (feels like yesterday I jokingly talked about it in this blog post) and like I said, be thrown back into university life. September is always a weird transitional month and as Autumn has officially ticked over, I can finally say I'm settled again and ready for what the last few months of 2018 bring! As I said, September is always one of those weird months where everything changes slightly and can be a full on month. I've now settled into Epsom and into my new room, living with my best friends and back to having to do a regular food shop for myself (which quite frankly I bloody love doing haha) Although is only been a handful of weeks since Uni began I feel like the work load is starting to increase (already!) with one deadline coming up very soon! Aside from this I still have to pinch myself that I'm actually studying a subject I wholeheartedly love. Our current module is all about Trend Forecasting for A/W 19 and it may not be my absolute favourite module, but it's still so so interesting and the more I work on it, the more I'm loving it. 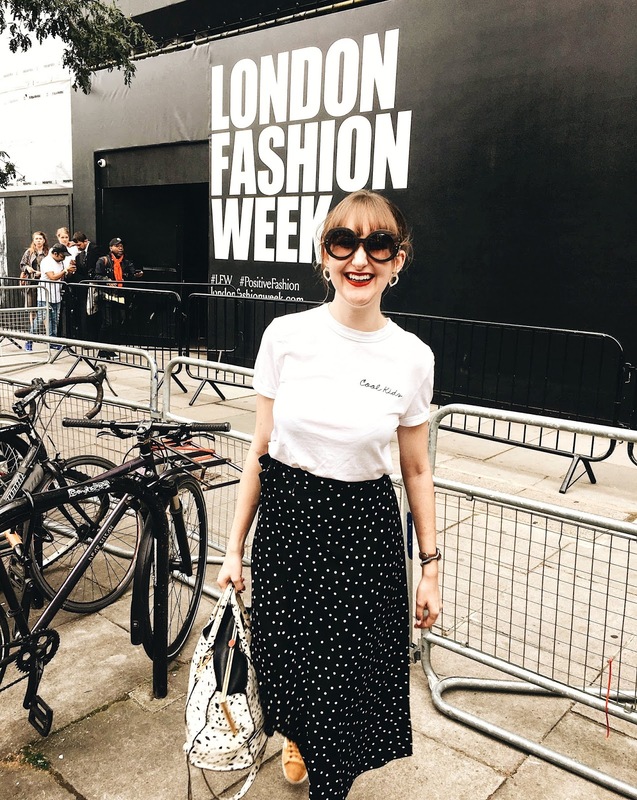 With this current module, we had a task (as we did last year) to go and Trend Spot outside London Fashion Week at The Strand. Of course, me and my uni friend obviously weren't famous enough to watch any shows or anything (that's the dream thought isn't it?!) but it's still so great to take it all in. What I will say is though, fashion weeks are quite ridiculous if you think of it. My theory was, the brighter the outfit, the more chance people would want to take your picture! There was one women stood with the most ridiculous bright green skirt on and ever photographer was going nuts - that's fashion I suppose! Finally, a big part of September was of course my birthday! I turned 22 on the 18th and had a fab birthday week with all my best friends. We went out for a burger and drinks on my actual birthday, then on the Thursday went to this pub we go to weekly for their Karaoke night. It was honestly so much fun and one of the nicest birthday I can remember. Obviously, at Karaoke night me and my friends all sang 22 by Taylor Swift and it was one of those memories that makes me laugh every time. So.much.fun! It's just a matter now that I have to come to terms with the fact I'm 22.. was I not 18 only yesterday? !